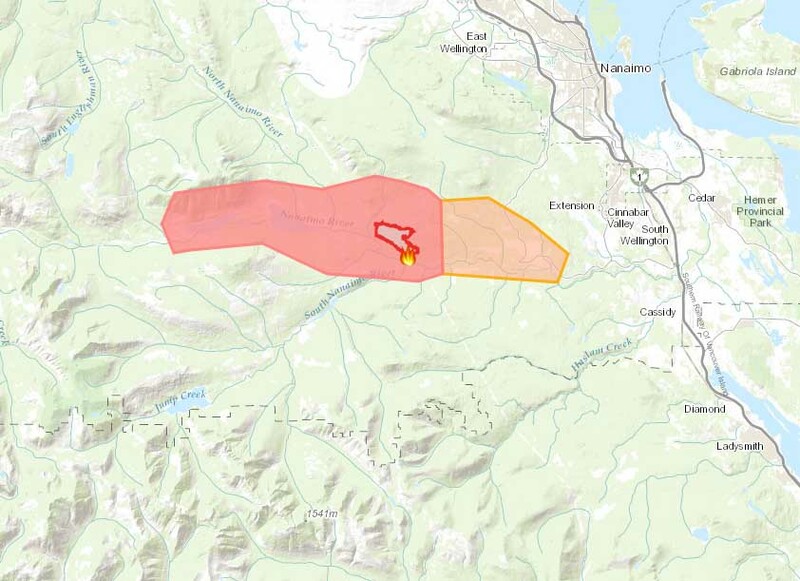 The 182 hectare Nanaimo Lakes wildfire is now 40 per cent contained. 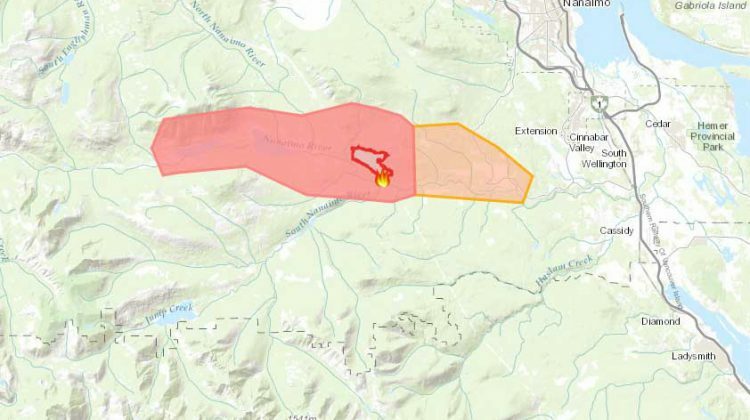 All evacuation alerts and orders have been rescinded and Nanaimo River Road remains closed for three hundred metres on each side of the fire and pilot cars are escorting traffic through the area. Smoke from the wildfire continues to drift west and the reason for the blaze, while thought to be human-caused is still under investigation.